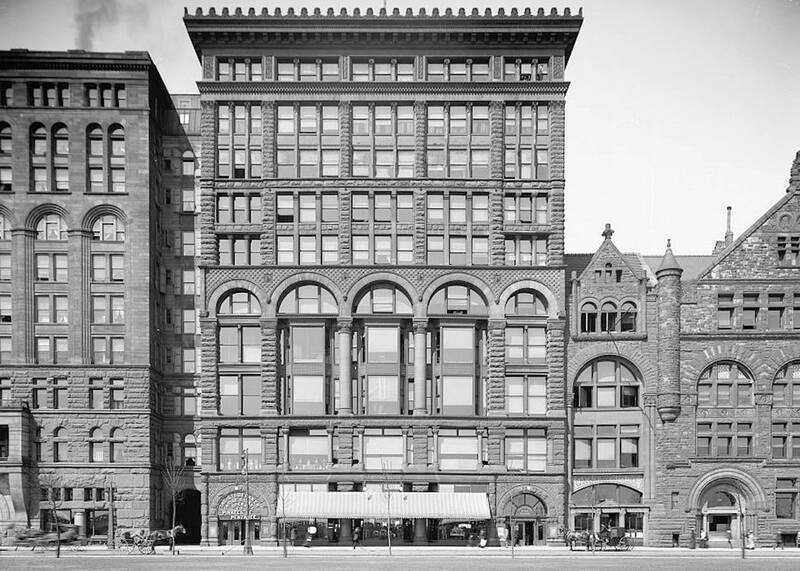 February 26, 1903 -- With the payment of $100,000 the Studebaker brothers become absolute owners of the Fine Arts Building and the ground beneath it. The ground on which the building stood had been held in a 99-year lease that began in May of 1885 with an annual ground rent of $2,000. 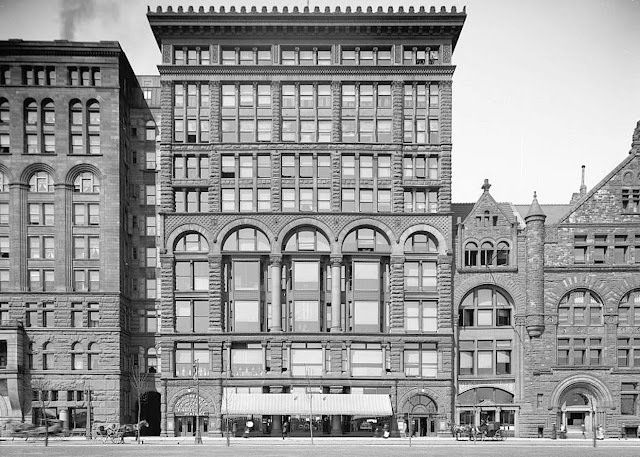 The building, designed by Solon Spencer Beman, opened in 1886 with a four-story annex added for use by the Art Institute in 1898. On July 7, 1978 the building was declared a Chicago City Landmark. The photo below shows the building as it looked in 1900.